Agnes has been a Community Based Rehabilitation and Social Worker since 2009 for one of our partner hospitals, CoRSU in Uganda. She works with children with disabilities, their parents/caregivers, volunteers, health workers, primary school teachers and other community members. Agnes’ ministry is to ensure that children with disabilities are valued just as Jesus values them and included in all aspects of society. Hope and Healing International believes all children should have the opportunity to participate in all the thrills, joys and challenges of a full life. Agnes, what motivates you to do what you do? I have a passion for people with disabilities. My dream has always been to help people cope. When a child has mobility difficulties and he receives surgery and gains mobility…that makes me love my work. Where do you get your strength and perseverance? Before I leave my home I say a prayer to God to bless my day, to enable my hands to make a difference and also to share what I do with people like you. When I see how much Hope and Healing International is helping our people, I gain the courage to serve even more people. Justine’s feet were amputated when she was a young child. She crawled on her knees. She was discriminated in all school activities like play, games, and no one thought about her. Children called her names like, Mulema, meaning a disabled person. After our intervention (and prosthetics), she is able to participate just like any other child! 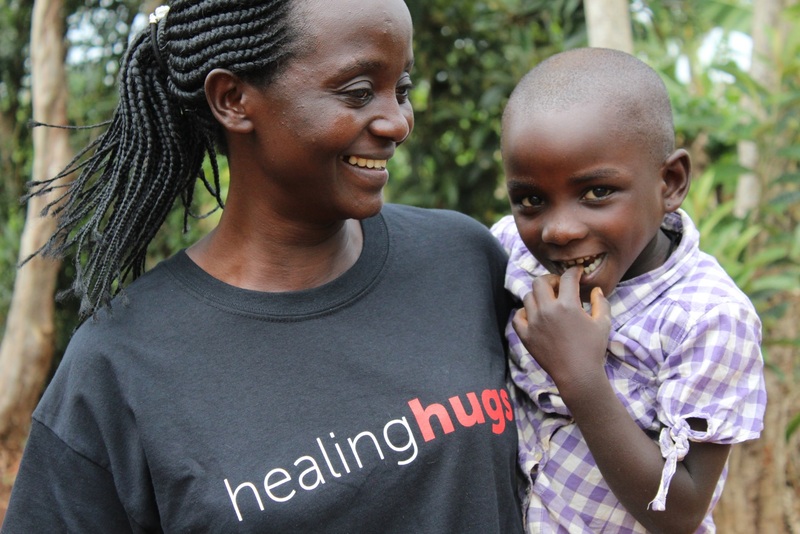 Would you like to give a healinghug that will change a child’s life forever? “There is no exercise better for the heart than reaching down and lifting people up.” John Holmes.